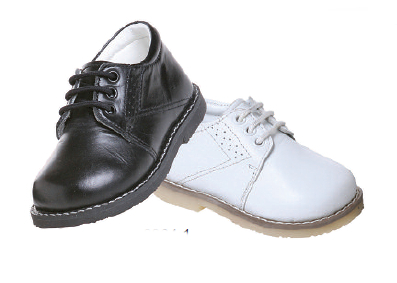 Choose Black or White Smooth Leather boys dress shoes in infant and toddler sizes from infant size 3 up to size 8. By Josmo shoes. Leather uppers and leather lined. Non Skid rubber sole.